We hope everyone had a wonderful #Thanksgiving with friends and family. 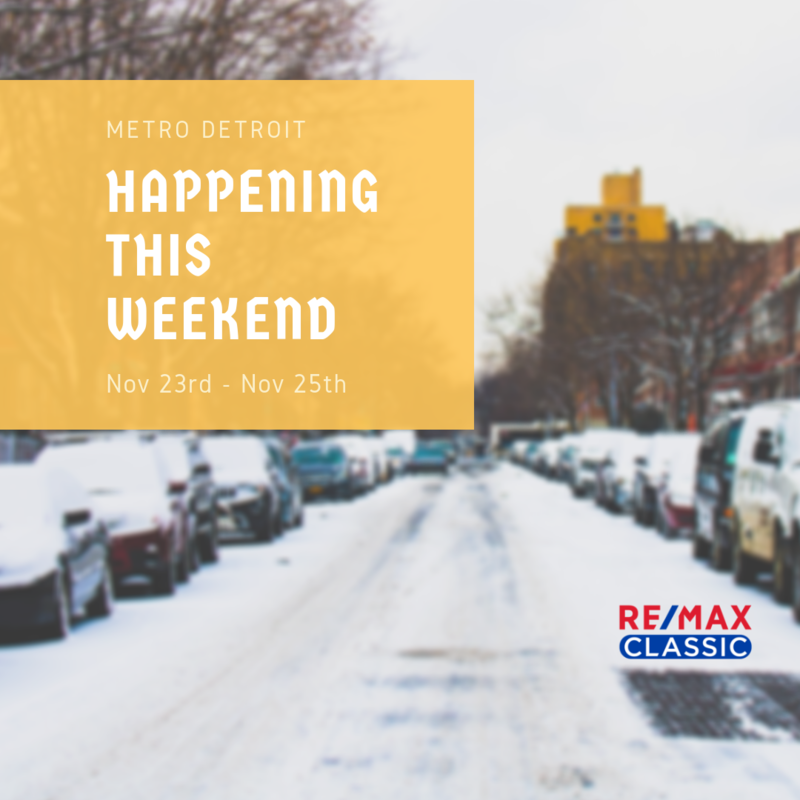 If you are looking for something to do this weekend, there is lots happening in Metro #Detroit! Weather pending, our Milford RE/MAX Classic Agents will be walking in the Christmas parade! See them, and so much more (below)! Each week, RE/MAX Classic compiles a list of things to do near its 7 office locations. Here is what’s happening between November 23rd and 25th, 2018!